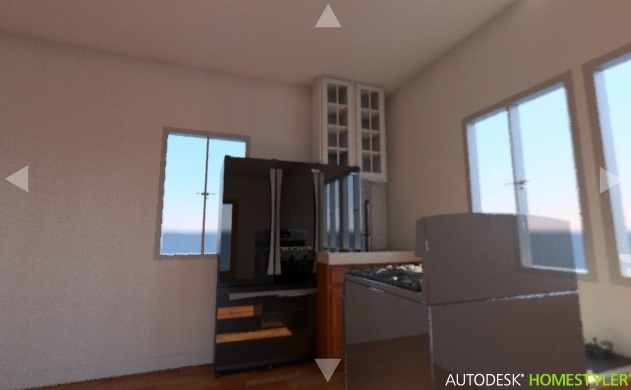 Autodesk Homestyler - That's what it says at the top of the website. Autodesk are the crowd behind the heavy hitting AutoCAD software used by many design and architecture professionals so I'm expecting great things from this. So how do you and I get to use a flavor of this top notch floor plan software for free? This Homesytler review is part of the Free Floor Plan Software series. It's the same deal as on HomeByMe where third party companies pay to have their products on the platform. Anyway, enough talk of business models. Homestyler is a web application that's completely online. There's nothing to download onto your PC. There are mobile and tablet apps that you can download - also for free. To get started, go on over to their website, and everything is pretty much simple from there. To make a design, you just click “create new design" and the tools pop up immediately. There are no requests to sign in, and you can get straight down to floor plan business. There are various ways in which you can make your walls. Either you can drag and drop rooms, or you can drag and drop individual walls. Both ways make walls a doddle. Although my house doesn't have curved walls it's good to see that Homestyler have got curved walls covered. For the dimensions, you need to adjust the length of the walls by clicking and dragging until you manage to drag it to the exact dimension you want. (You can change the units by the way). This is where it would be great to be able to enter values from the keyboard for precise measurements. I got pretty frustrated trying to get exact dimensions. For example I kept getting the dimension 3.99m rather than 4 m.
A room area calculation would be a good addition as well as entering dimensions. It's a pain to have to turn to a calculator for this! Anyone out there listening from Homestyler? Dragging and dropping windows and doors is extremely easy as is the flipping of opening directions. Changing the width of the windows and doors is only possible for certain types. Otherwise some of the door and window dimensions cannot be changed. Dragging and dropping the stairs is a little difficult, the anti collision rule makes it impossible to drag the stair to the exact position. I dragged the staircase to where I wanted it and it vanished in mid air! Once the staircase was in position it couldn't be resized - oh well. The staircase collection would benefit from a few more staircases to choose from. You can choose to clone any of the floors which speeds things up. When you choose to clone something everything is cloned - walls, doors, windows, floors and furniture. If you've got several floors to draw which have the same floor plan think about when it's best to do the cloning step according to what you're trying to do. Another idea might be to draw out the basic floor plan with limited detail and clone from that for each floor. Once the shape of the rooms is done it's time to have fun with the furniture. You can put the furniture on in the 2D view. The symbol library has a variety of sofas, chairs and beds, as well as little details like decoration pieces. If only moving real furniture was as easy as dragging and dropping with a mouse. The 3D view controlled by a control at the top of the screen. I found this a little bit clunky. I really prefer the programs where the 3D view responds to moving the mouse on top of the image. For me, the purpose of a 3D view is really to get inside the room to see what it looks like. For this the best bet is the panorama feature. You can import a jpg, jgeg, gif or png image to scale so that you can use it as a base image and draw your rooms on top of it. There's a large gallery of pictures that you can import into your own account and play with. You can export your design as an image in jpg, a revit file (another product in the Autodesk software family) or a dwg file (AutoCAD). You can export with a grid or a dimension. Or you can export your design as a design in deg format. That means that the design elements are preserved (I think) and means that you could import the design into a program that accepts dwg format and carry on designing. Saving requires creating an account which is quick because you can use Facebook and various other social media log-ons. Printing options include printing with dimensions or with a grid. 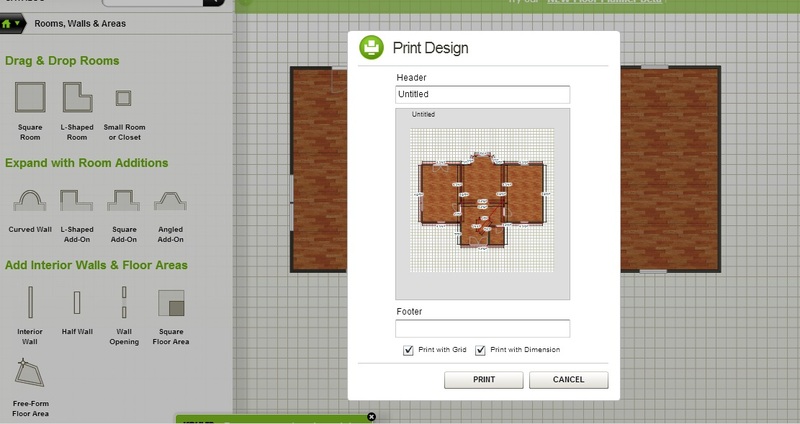 The grid helps to get an idea about the scale of the plan, but it does not have any option to print it on a custom scale. Help and support is available through video tutorials and searchable FAQs, or you can ask a question and report a problem. It runs a bit slow on my pc, but then again there's some serious competition for the WiFi bandwidth in my house. Please add this in Homestyler! You can import images to scale. Although there is a grid feature. You can share in the gallery or send a link. What do you think of Homestyler? I'd love to hear about your experiences using this software.